Dump nesting occurs when a number of females lay eggs in a single house, which sometimes results in clutches with over 70 eggs. Mississippi State University did a study of Wood Ducks in an effort to reduce this problem. 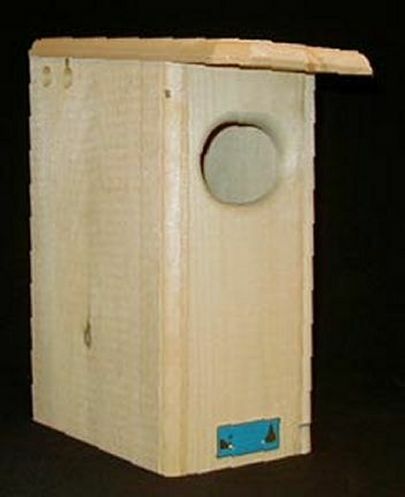 A smaller nest box was designed and dump nesting was reduced. Although fewer ducklings are fledged from each box, the survival rate is improved and the cost per fledgling is less. This box comes with a wire ladder and nesting chips, and the front opens for observation and cleaning. Dimensions: 17 in. x 7 1/2 in. x 15 in..